A car accident is something that no one likes to think about happening to them. 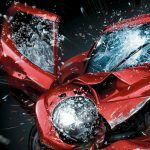 However, there are roughly 10 million car accidents in the United States every year, so it is important to know what to do afterwards. 1. Make sure that everyone involved is okay, then call the police. After an accident, the first thing you should do is stop and make sure that everyone is okay. If anyone is injured, call 911 to get emergency responders and police on the scene. Attend to the injured, but do not attempt to move them unless fire is involved or you are a medical professional. If no one is injured, move your car to the side of the road if possible, and then contact the police. 2. Exchange contact information with all drivers involved. Get their phone numbers, addresses, license plate numbers, and insurance policy numbers. Take pictures of the damage that has been done. If you aren’t on a busy road, it’s actually ideal to take pictures of the cars where they came to rest before moving them. Make sure you turn your hazard lights on if you do this. If there are any witnesses to your accident try and obtain their information as well. 3. Don’t admit to any fault. Do not discuss fault with the other drivers involved or say anything that could indicate responsibility at the scene. Write down as many facts you can remember. Contact your insurance company to let them know you’ve been in an accident and file a claim. Do not make any statements to the other person’s insurance company. They will likely call you, however, you are under no obligation to make a statement and it is best to defer to your attorney. 4. Seek medical attention, regardless of how you feel. Even if you feel fine directly after the accident, it is always best to get a full examination by a doctor. It’s not uncommon for injuries resulting from the accident to surface days, or even weeks, later. The longer you wait to get examined the harder it is to prove your injuries were caused by the accident. Make sure you keep a detailed account of any treatments or medications you receive, and request copies of all your medical reports and bills. In order to receive compensation for pain and suffering, it is helpful to keep record of any missed workdays, routine activities you can no longer undertake, and anything else that shows how the injuries have impacted your daily life. 5. Contact your attorney. It is important you contact your attorney as soon as possible after the accident. It is more likely that you’ll get the compensation due to you if your attorney is able to act quickly. Even if an insurance company offers you a settlement, their initial claim may be insufficient to fully cover the repair costs. Additionally, if you are injured from the accident things can get complicated quickly, and consulting with an experienced attorney will maximize your recovery and prevent you from saying or doing anything that might damage your case. Even if you are at fault for the accident, an attorney can help you better defend yourself. 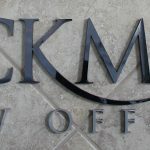 At Hickman Law Office we are experienced in automobile and motorcycle accidents, and in personal injury cases. Contact us for a free consultation to ensure you get the compensation you deserve.